Track Legend Steve Prefontaine was born in Coos Bay, on the Oregon Coast, on January 25, 1951. As a senior at Marshfield High School, he broke the two-mile American record. He signed on with the University of Oregon in 1969. At Oregon, he won seven NCAA titles, including 3-mile titles all four years. Although he was offered a six-figure contract to compete professionally, he chose to remain at the UO in Eugene, running as an amateur. He graduated with a major in communications and minor in architecture. Prefontaine&apos;s profound effect was evident off the track. 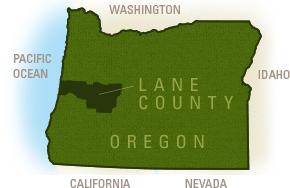 He volunteered his time at a local junior high school and at the Oregon State Penitentiary, where he began a running club for the inmates. He was also a vocal advocate for air-quality, petitioning for field-burning bans. During his 24-year lifetime, Pre set the bar high for future runners. 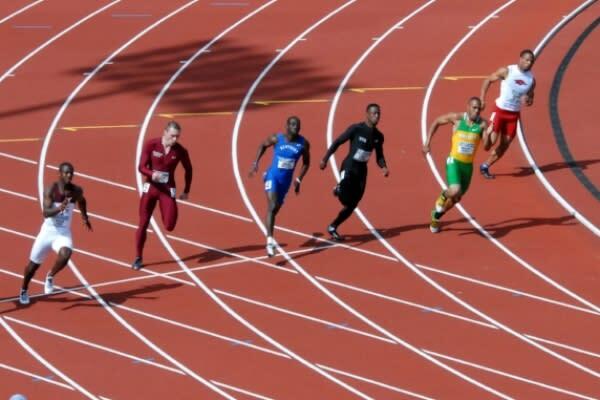 He accumulated eleven U.S. indoor and outdoor track records along with nine sub-4-minute miles. Best remembered as a running prodigy, Steve Prefontaine prevailed as a long-distance runner and went on to finish fourth in the 1972 Olympics in Munich, Germany. 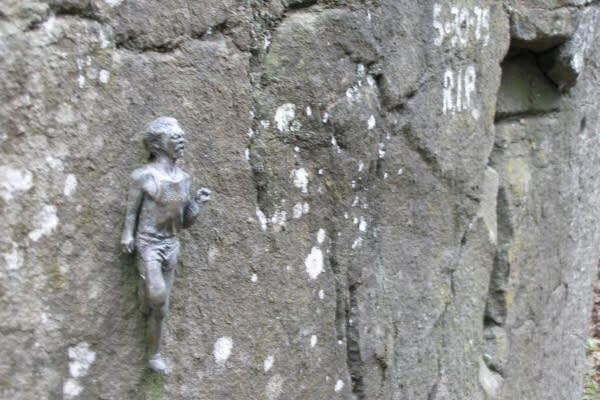 Tragically killed in a car accident in 1975, many people continue to honor him by visiting his memorial "Pre&apos;s Rock" located at the site of the crash near the intersection of Birch and Skyline Boulevard in Eugene. Note: parking is limited and pedestrians should use caution on this narrow road. The Steve Prefontaine Memorial Jogging Trail is popular with resident runners and visitors alike. Pre&apos;s Trail winds through Eugene&apos;s Alton Baker Park, located east of the Ferry Street Bridge along paths he used to run. Inspired by European running trails, Pre was pursuing the creation of this official trail prior to his death. His former UO Coach Bill Bowerman, fellow runners and the Eugene community later fulfilled his dream by spearheading the completion of Eugene&apos;s first chip trail. The bark-covered trail can be easily accessed from West Alton Baker Park where there is a paved parking lot. The trail is also accessible via two footbridges: the Autzen Footbridge or the Knickerbocker Footbridge. Tom Jordan&apos;s biography "PRE" which was the basis for the movie "Prefontaine"
Other running legends and Olympians who came out of coach Bowerman&apos;s UO "stable" include Alberto Salazar, Mary Decker Slaney, Lance Deal, Mac Wilkins and Bill McChesney. Present day Olympians from Eugene include Andrew Wheating, Devon Allen, English Gardner, Phyllis Francis, Nick Symmonds, Galen Rupp, Matthew Centrowitz and Ashton Eaton. Breaking the decathlon world record at the 2012 U.S. Olympic Team Trials - Track and Field right here at Hayward Field, Ashton Eaton is a beloved hometown favorite and the "World&apos;s Greatest Athlete." He took home the gold medal for the decathlon at the 2012 Olympics in London. In 2015, he beat his own world record at the IAAF World Championships in Beijing. And in 2016, he won another Olympic gold medal in Rio de Janeiro. Track star ascensions in Eugene have included the rise of Edward Cheserek, Ben Blankenship, Jenna Prandini and Deajah Stevens. 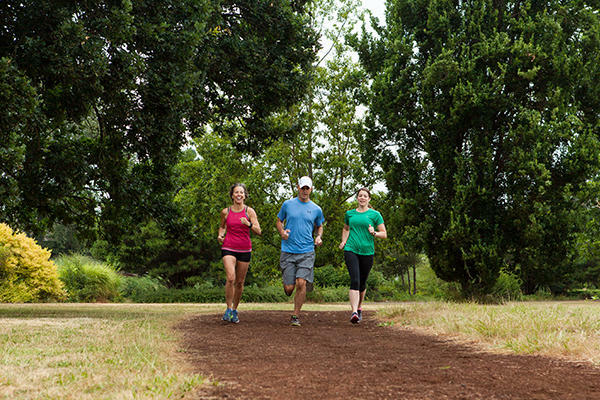 Eugene&apos;s fertile training ground promises to yield new crops of dedicated runners as the seasons progress.